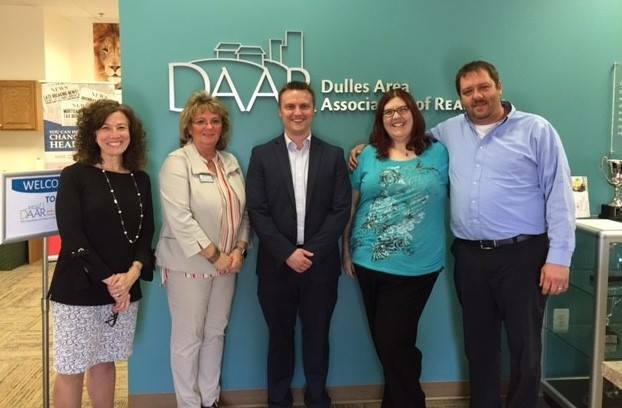 Allan Gromest, NAR Human Resources Manager, with DAAR staff. Brad Boland, Principal Broker and Owner of Keller Williams Realty Dulles and Joseph Ventrone, Vice President, Regulatory & Industry Relations, NAR. To become better informed about the real estate business, all National Association of REALTORS® (NAR) staff, beginning this year, are required to spend a day learning about member’s and association’s day-to-day business activities. Earlier this month, DAAR hosted Alan Gromest as part of NAR’s “Day in the Life” program who spent a day with leadership, members and staff. Alan, who is a human resources manager at NAR, experienced the work involved in conducting our Economic Summit, hearing about issues of importance from local elected officials and meeting with staff to learn about the programs, activities and services at DAAR. 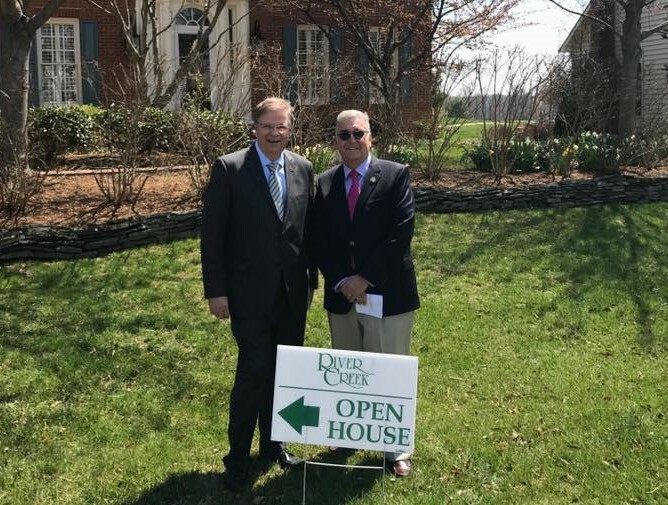 Brad Boland, Principal Broker and Owner of Keller Williams Realty Dulles, and DAAR Past Chairman of the Board, also hosted Joseph Ventrone, Vice President, Regulatory & Industry Relations, NAR, who spent quality time at the office’s sales meeting, several broker’s opens and touring the area. The goal of the program is for NAR staff to come away with a better understanding of the real estate business and its dedicated practitioners. By spending quality time with agents, brokers, or association staff, NAR employees come away with empathy for what REALTORS® do each day, which translates into even better service from NAR.